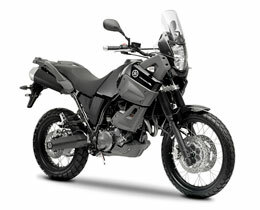 Yamaha models hold the record for most wins in the famed Dakar Rally. It takes its "Tenere" name from the south-central region of the Sahara Desert that the rally passes through, and it is the very embodiment of the race's spirit of adventure with its liquid-cooled 600cc engine. Based on the XT660R, this model adopts a large-capacity fuel tank for increased running distance and other features to heighten its functionality as an adventure machine. Its liquid-cooled, 4-stroke, single-cylinder 660cc fuel-injected engine known for its easy-to-use power development and outstanding response is mounted on a diamond type frame known for excellent durability. It has styling that stimulates the adventurous spirit and plenty of carrying capacity for the gear you want to take along. With a development concept of "the fastest supersport," this model brings together the fullest use of the state-of-the-art technologies born of Yamaha's "GENESIS" and "G.E.N.I.C.H." design and engineering ideals aimed at rider-machine communication. 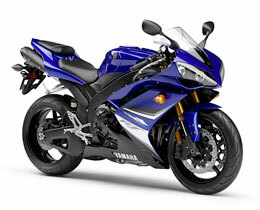 This is the 5th model change since the release of the original YZF-R1 in 1998. Its main features include (1) a liquid-cooled 4-cylinder engine with the new "Yamaha Chip Controlled Intake" (YCC-I), (2) "Yamaha Chip Controlled Throttle" (YCC-T), (3) aluminum Deltabox frame and (4) an exterior design that uses definitive edges to create a sense of dynamic motion.